Charles Berul, M.D., chief of cardiology at Children’s National, and Rohan Kumthekar, M.D., a cardiology fellow working in Dr. Berul’s bioengineering lab at the Sheikh Zayed Institute for Pediatric Surgical Innovation, explore ways to make surgical procedures for infants and children less invasive. 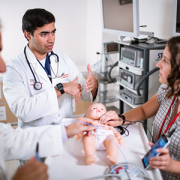 Rohan Kumthekar, M.D., a cardiology fellow working in Dr. Charles Berul’s bioengineering lab at the Sheikh Zayed Institute for Pediatric Surgical Innovation, part of Children’s National Health System, presented a prototype for a miniature pacemaker at the American Heart Association’s Scientific Sessions 2018 on Sunday, Nov. 11. 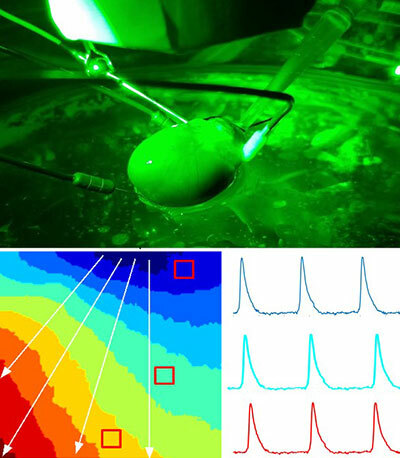 The prototype, approximately 1 cc, the size of an almond, is designed to make pacemaker procedures for infants less invasive, less painful and more efficient, measured by shorter surgeries, faster recovery times and reduced medical costs. Kumthekar, a Cardiovascular Disease in the Young Travel Award recipient, delivered his oral abstract, entitled “Minimally Invasive Percutaneous Epicardial Placement of a Custom Miniature Pacemaker with Leadlet under Direct Visualization,” as part of the Top Translational Science Abstracts in Pediatric Cardiology session. Instead of using open-chest surgery, the current standard for implanting pacemakers in children, doctors could implant the tiny pacemakers by making a relatively tiny 1-cm incision just below the ribcage. “The advantage is that the entire surgery is contained within a tiny 1-cm incision, which is what we find groundbreaking,” says Kumthekar. With the help of a patented two-channel, self-anchoring access port previously developed by Berul’ s research group, the operator can insert a camera into the chest to directly visualize the entire procedure. They can then insert a sheath (narrow tube) through the second channel to access the pericardial sac, the plastic-like cover around the heart. 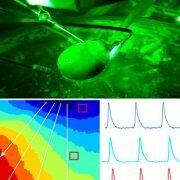 The leadlet, the short extension of the miniature pacemaker, can be affixed onto the surface of the heart under direct visualization. The final step is to insert the pacemaker into the incision and close the skin, leaving a tiny scar instead of two large suture lines. The median time from incision to implantation in this thoracoscopic surgery study was 21 minutes, and the entire procedure took less than an hour on average. 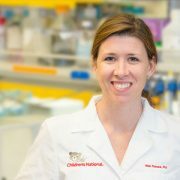 In contrast, pediatric open-heart surgery could take up to several hours, depending on the child’s medical complexities. The miniature pacemakers and surgical approach may also work well for adult patients with limited vascular access, such as those born with congenital heart disease, or for patients who have had open-heart surgery or multiple previous cardiovascular procedures. 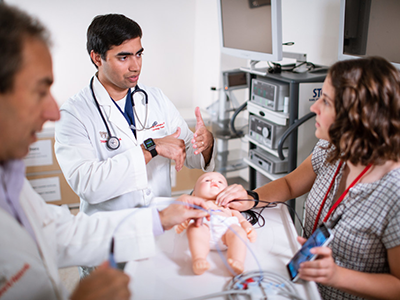 The miniature pacemakers passed a proof-of-concept simulation and the experimental model is now ready for a second phase of testing, which will analyze how the tailored devices hold up over time, prior to clinical testing and availability for infants. 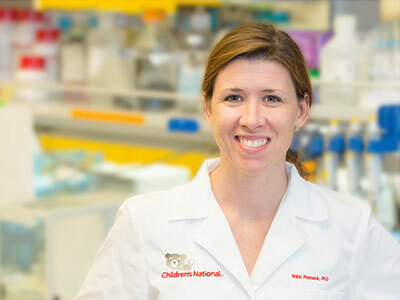 “The concept of inserting a pacemaker with a 1-cm incision in less than an hour demonstrates the power of working with multidisciplinary research teams to quickly solve complex clinical challenges,” says Charles Berul, M.D., a guiding study author, electrophysiologist and the chief of cardiology at Children’s National. Berul’s team from Children’s National collaborated with Medtronic PLC, developers of the first implantable pacemakers, to develop the prototype and provide resources and technical support to test the minimally-invasive surgery. The National Institutes of Health provided a grant to Berul’s research team to develop the PeriPath, the all-in-one 1-cm access port, which cut down on the number of incisions by enabling the camera, needle, leadlet and pacemaker to be inserted into one port, through one tiny incision. Other study authors listed on the abstract presented at Scientific Sessions 2018 include Justin Opfermann, M.S., Paige Mass, B.S., Jeffrey P. Moak, M.D., and Elizabeth Sherwin, M.D., from Children’s National, and Mark Marshall, M.S., and Teri Whitman, Ph.D., from Medtronic PLC.